GM says it has given Opel $5B in recent years. MUNICH -- General Motors Co. says it has significant unresolved issues with Opel bidder Magna International including concerns over intellectual property, product development and Magna's plans for Opel in Russia. GM's chief negotiator John Smith dampened hopes that the U.S. carmaker will choose its preferred new owner for Opel as early as Friday, saying just one-third of the outstanding issues with Magna's bid have been resolved. "Press reports have tended to exaggerate the state of progress, a few even suggesting the deal is done and that Magna has been selected. That's not the case," Smith wrote in a blog on the company Web site Driving Conversations. Magna and its consortium partner, Russia's state lender Sberbank, are locked in a battle for Opel with Belgium-based financial investor RHJ International, but GM has yet to make clear its preference on which company will get a majority stake in the 100-year-old Germany-based unit. Ahead of a general election next month, German politicians have been prodding GM to end a stalemate and sign a deal with Magna. "We have had constructive meetings with both Magna and RHJ this week. As the RHJ proposal is the simpler of the two, there were very few significant issues with this offer, so most of our time has been spent working with the Magna/Sberbank team," Smith wrote. He added: "We started the week with about 30 issues to resolve, including New Opel's involvement with Chevrolet in Russia, intellectual property transfer rights in Russia, advanced technology access, product development responsibilities, minority shareholder rights and other items. I can report some progress, resolving perhaps one-third of the issues during a first day of talks." Chevrolet is the best-selling foreign brand in Russia and GM has resisted Magna's bid to win Russian distribution rights for the brand. 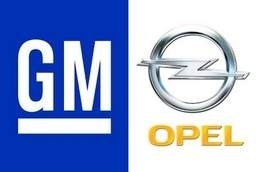 Germany has already loaned Opel 1.5 billion euros ($2.16 billion) to stay afloat after GM went into bankruptcy in June. The U.S. carmaker needs Berlin to fund a costly restructuring program at Opel over the next two years while the European carmaker continues to burn cash. The Berlin government and the four German states that have Opel factories believe Magna's offer will result in fewer job losses. They fear RHJ will sell Opel back to GM after restructuring the unit. Smith said the offers from Magna and RHJ are very similar. "There is really very little difference between the two proposals' product, manufacturing and purchasing plans, the three big value-adding levers in the automobile business," he wrote. Smith explained that most of his time in talks with Magna was still devoted to resolving deviations from a memorandum of understanding signed late in May between GM and Magna. "One key point for GM is intellectual property, and this transaction should not become a pipeline, shipping valuable intellectual property to destinations unknown," he said. GM fears that Opel technology will be handed over to Magna's industrial partner GAZ, Russia's second-largest carmaker, press reports have said. Smith said GM has provided $5 billion to help Opel restructure its operations in the past several years and will continue to support Opel when it becomes a minority shareholder in New Opel by the near full reimbursement of the new company's annual engineering budget and a reduction in royalties otherwise paid during the first five years of operation by over $2 billion. "Opel needs a close connection to a high-volume, global automobile company to take full advantage of related economies of scale as it will not survive for very long on its own. One has to look only as far as the new Insignia and forthcoming new Astra to see drivable dividends from today's everyday product development relationship with General Motors," Smith wrote.